Troughs and Peaks. This is how I can summarize the past week. I started fine. There were days when all I wanted was to do is cry. Then there were days when I was blessed with surprises. The storm that devastated me is not yet over. But I'm not giving up. I'm still alive and surviving. Along the way however, there were friends and unexpected friends. Thank you! You made everything easier for me. Apart from my unexpected angels, here are the few beautiful things that made my week. Fun Fab Fam - A member of the family celebrated her birthday in the middle of the week. Moments like this with the family is always priceless. My only regret, I should have filed a half-day leave so that I arrived earlier for the little party. This gallery at Greenhills Promenade - I rarely see Greenhills Shopping Center. I can't even remember the last time I visited the place. 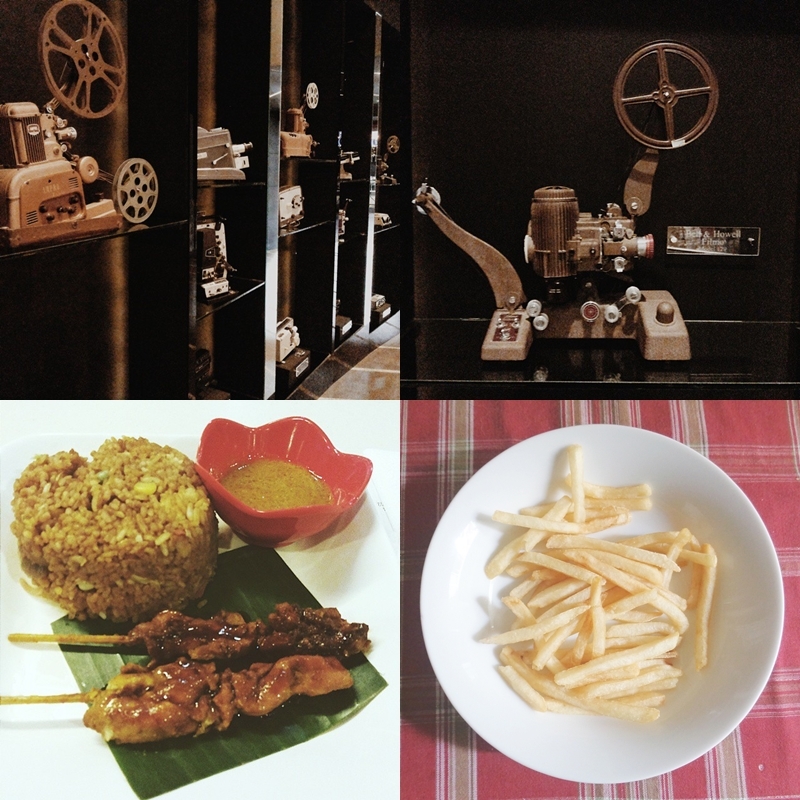 I was amazed with this vintage film projectors and paraphernalia. It's just a bit unfortunate that I only had my mobile phone. I could have captured more photos. Nasi Goreng - I used to ignore My Singapore Food Street in SM Megamall. After meeting a freelance client, it took me some time to look for a place for dinner. My favorite restaurants are jampacked and the few that are not populated are obviously, not within my budget reach. :) I decided to give My Singapore a try because I have been reading a lot of great reviews. True enough, no regrets at all. I found a new favorite. Nasi Goreng is love! Happy Weekend - A sign of aging, you tend to appreciate even the littlest things in life. Weekends with the family and a bowl of french fries, thank you Dear God! 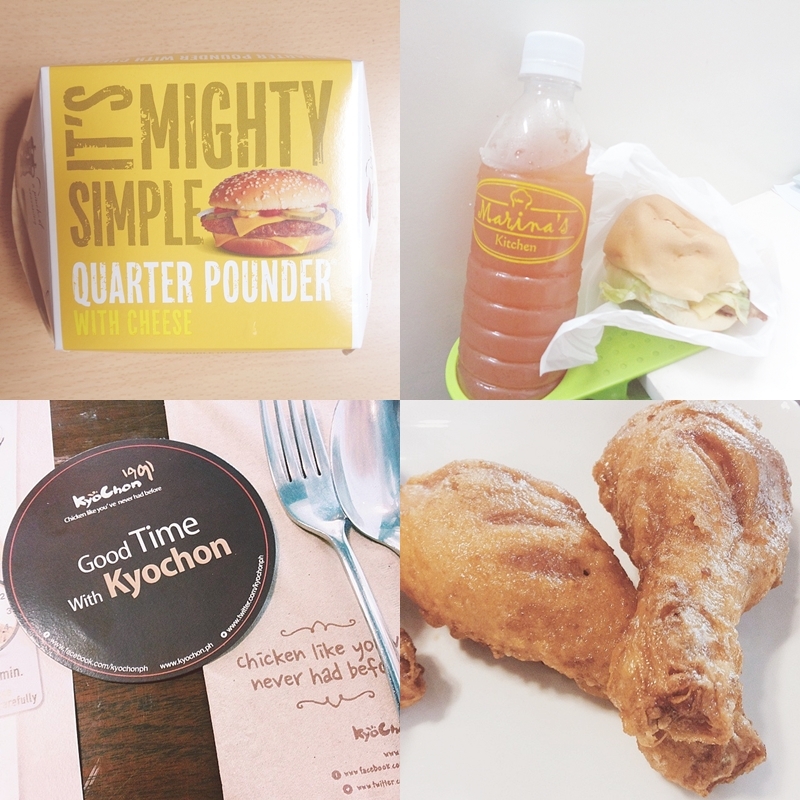 Kyochon - Because I rarely visit Greenhills, I took advantage of the opportunity to try Kyochon. This was another gamble I will never regret. A bit pricey for a solo meal, but the soy garlic chicken win it. Thank you Coleen! - I meet a lot of people online through my blog. As much as I wanted to meet everyone, I'm afraid that not everyone would love to meet me. Hahaha The few people I met through my blog are Jannelle, Kelley, Zigrid, Leah and Mother E. In the middle of the week, I had the chance to add another person in my very limited list. Big shout out to Coleen! I keep on calling her Daryl but I think she prefers Coleen. Hahaha Sorry naman. Thank you for the dinner treat and this gift!!!! I learned a lot from you. Thank you for all the travel tips, stories and entrusting a part of your life. There will definitely be more meet ups for us. Thank you Marieken! - One thing I learned, real friends can also be found online. I love the postcard and that rare chance when our time differences suddenly meet. I appreciate our email exchange. Thank you for lending your ears Marieken. The magic wooden comb - It was my friends A and T who introduced me to this brand of wooden combs. I used to pass by the kiosk of Hua Mulan in SM Megamall. I never bothered to check because I was sure, it is expensive. When I dropped by Megamall recently, I took advantage of the mall wide sale. I inquired and discovered that their wooden combs are not excessively expensive. They have versions for as low as Php 80. I have yet to determine whether I made the right splurge. :) I'll probably write a review over the next weeks. This is probably one of the longest Beautiful Sunday posts I made. As much as I wanted to end on a positive note, life is really testing me these days. My selfish wish is for this weekend not to end. Can I just stay home with my family? Sigh.. And suddenly, I remember something important for work tomorrow. There's a huge task waiting to be accomplished. Please pray for me. Send me all the positive vibes. Messing up is not an option. I need some good news. I need something to uplift me. Better days, better week, better life, I can't wait! My week wasn't the best as well. I hope for the both of us that things will be better after the weekend. I'll be keeping my fingers crossed. 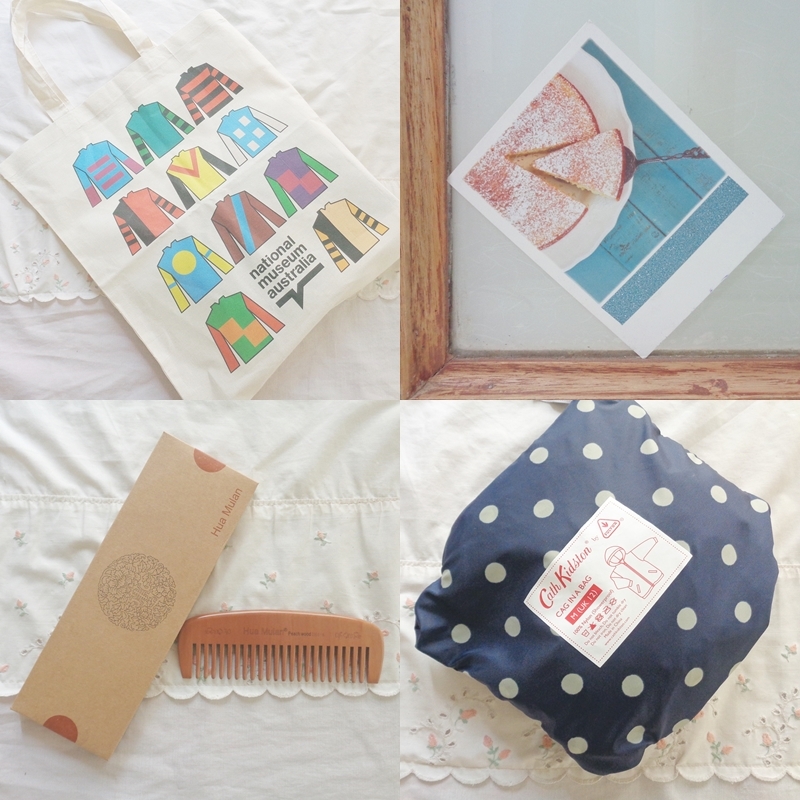 I'll try to drop something off at the postoffice next week. And the bag from the museum is cute. I love tote bags! Is the raincoat the same as the bag, blue with polkadots? Madami akong react, pero i-limit ko sa two: (1) What's magical about the comb? Kasi buhaghag hair ko -- would it help? (2) Pessimist that I am, I tend to wallow in misery, but I always remind myself that things will get better. And looking back, yung mga pinoproblema ko pala dati are just things that wouldn't bother me now. Just hold on. Inaantay ko lahat Mother! Why two lang? Hahaha Aaantayin ko yung iba. 1. Medyo na-exage ko ata yung comb. - Nothing really magical, yung tipong transform? BBlog ko na lang. 2. Wallow in misery -yan ata ang hobby ko ngayon. I can't wait for the day na itatawa ko na lang lahat ng ito. Thank you for the kind words. Sending you hugs and positive vibes for a great success at work this week. I see you are also finding good ways to spend time and enjoy life. 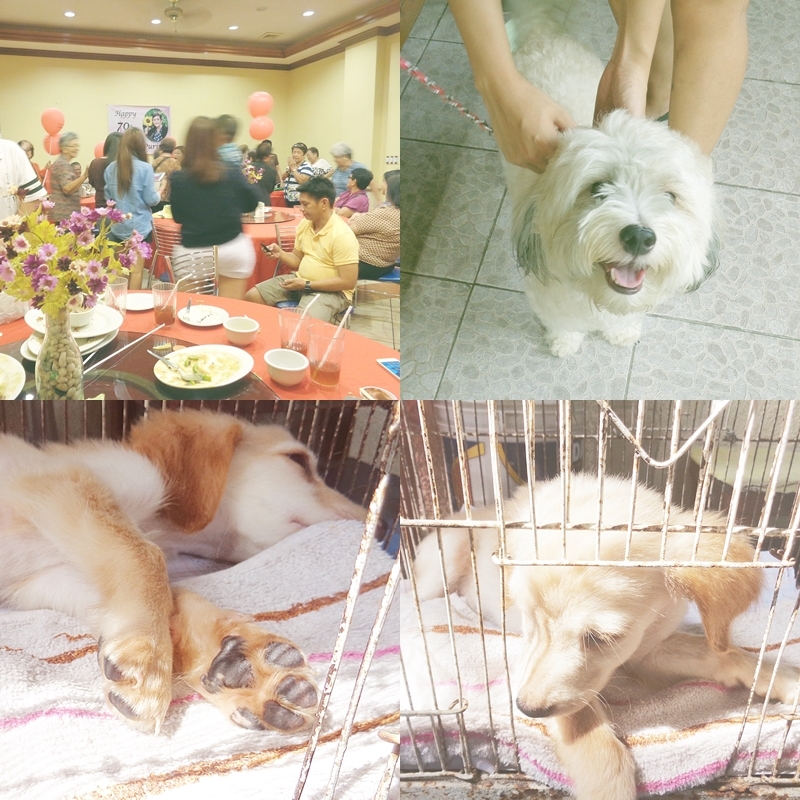 and i just had to say this... ang cute nung new puppy! i've always wanted to own a labrador. pero ngayon, french bulldog na ang trip ko. hehe. Diane, photoshoot tayo suot yung cag hehe! Pero why order through ASOS? I have always been curious about the Hua Mulan combs. What's so special about them at bakit ang mahal nila? Abangan ko ang review mo. Kung okey, I might get one for myself. Dapat kase sulit dahil hindi ako madalas magsuklay ng buhok. I love My Singapore Food Street because of their Roti!